Cosmetic procedures are all about helping you achieve your ideal look. The satisfaction you have with your physical appearance affects your mood, the way you’re perceived by other people, and even how you act towards family and friends. Over time the body changes. Skin becomes less elastic, features slowly morph and the satisfaction you once had when looking in the mirror just seems gone. Doctor Jean-Paul Azzi is a double board certified Palm Beach facial plastic and reconstructive surgeon who uses the most cutting edge techniques in practice. One way Dr. Azzi chooses to help patients who are trying to achieve more facial volume is through the injectable cosmetic filler, Sculptra. Sculptra contains poly-L-lactic acid, or PLLA, which is a biocompatible substance that actually stimulates collagen production. 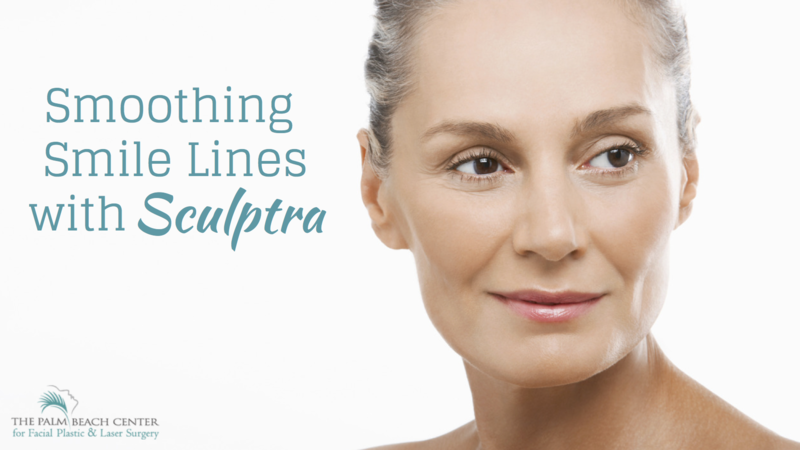 This ingredient is what sets Sculptra apart from other fillers like Juvederm and Radiesse. It is primarily used to treat smile lines, deep lines, creases, folds and other wrinkles around the nose and mouth due to aging or illness. For example, patients who have HIV often suffer from fat loss in the face, or lipoatrophy. Unlike other fillers on the market, Sculptra was approved by the Food and Drug Administration in 2004 to treat lipoatrophy. Just five short years later, the FDA approved Sculptra Aesthetic for the treatment of deep facial wrinkles and folds for people with healthy immune systems. Just like with other fillers, the procedure is performed in office and requires zero pretesting. While minor swelling and bruising can occasionally occur, normal activities can typically be resumed immediately after treatment. An average treatment regimen consists of three injections over the course of four months and results can last up to two years. If you’re beginning to notice a bothersome difference in your appearance, do something about it. Dr. Azzi’s non-invasive procedures can make the world of difference and it is just a consultation away. Our beautiful offices are conveniently located in Jupiter and Palm City, Florida. We serve patients in the following South Florida areas and beyond: Jupiter, Palm Beach Gardens, Palm Beach, West Palm Beach, Tequesta, Hobe Sound, Stuart, Palm City, Jensen Beach and Vero Beach.